Geography being a desk, field and lab-based discipline can lead to many challenges for disabled students and staff to navigate. And it is our responsibility as a Department to ensure that students and staff are not disadvantaged in undertaking their studies or day-to-day job. The Inclusive Curriculum Project set up by the Geography Discipline Network hosts a wide range of guidelines and case studies for students studying geography, earth and environmental studies. Student Disability Services support students with a range of impairments, long and short-term conditions and difficulties. General enquiries can be addressed to disability@ucl.ac.uk or +44 (0)20 7679 0100. You can also contact the head of Student Disability Services Venitia Stoby directly. UCL Student Disability Services operate a drop-in service, Monday to Friday, check here for their opening hours and where to find them. For an overview on what support Disability Services offer, check here. 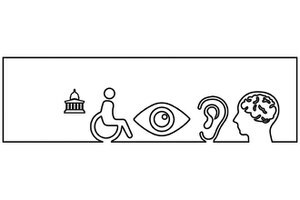 UCL web pages for disability equality has key information for access to work, accessibility and disability IT support, access to UCL buildings, and specific learning difficulties. The Disabled Students’ Officer is the UCLU contact person for disabled students. This office is currently held by Louise Lee. Apart from representing the experiences of disabled students on campus the Disabled Students’ Officer holds monthly meetings in which you can talk about your experiences. Find information about their events here.